Cpl. Kevin Meehan scans for enemy fighters. 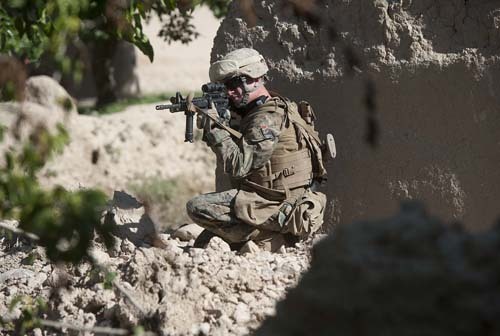 Dog Company’s Mobile Section, 1st Battallion, 7 Marines, responds to small arms fire directed at 2nd Platoon, 1st Squad near Patrol Base Harper, by setting up an overwatch position in support of their comrads.